Early eating disorder (ED) recovery is very mechanical because a new relationship with food must be established. With following a new meal plan comes physical discomfort because it is different than what the body was used to with the ED behaviors. There is also emotional discomfort because feelings are surfacing or increasing in intensity and frequency. Additionally, body image thoughts can intensify as well as an increase in powerful urges to revert back to ED behaviors. In the face of all of this, recovery must be chosen, which is why it is also often mechanical at first. The last thing a person may want to do when anxiety is high, body image preoccupation is unrelenting, and it feels like they may burst is finish the meal they are eating and that is exactly what they must do. Although this stage can often feel as though it will never end, it won’t last forever. Eventually the body will adjust to the meal plan and a recovery-focused relationship with food and physical pain will decrease until it eventually subsides. Through the use of dialectical behavioral therapy (DBT), emotions become easier to manage and tolerate. Also, with more practice feeling emotions and managing them, emotions become less powerful and overwhelming to experience. It helps when the benefits of recovery are noticed such as improved sleep, energy, concentration, motivation, and more. However, even as things begin to get a little easier there will still be plenty of experiences where the ED would feel like a huge break or relief. This results in continual difficulty following a meal plan and choosing recovery at times. 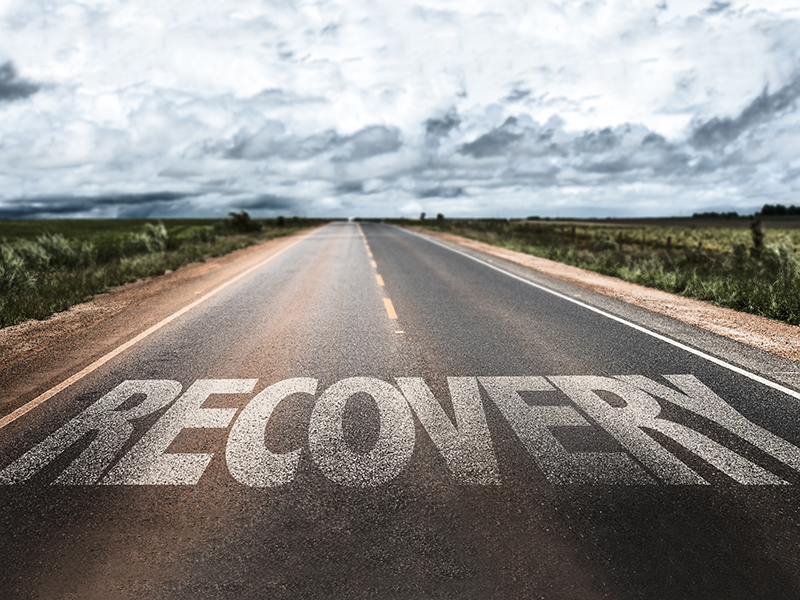 This is a time when it becomes increasingly important to connect with recovery values and a meaningful life. Otherwise life can feel pretty miserable as it remains all about food and body image and may result in white-knuckling recovery. This can look like continuing to obsess about food, remaining rigid with food patterns and beliefs, and continuing to weigh or engage in body check behaviors to name only a few. Ultimately, a person could technically be in recovery because they are not using behaviors and be just as miserable because life still revolves around the same things as it did in the ED. Values and important aspects of life such as relationships, hobbies, passions, and career aspirations need to be explored and emphasized early in recovery and often throughout the journey. Recovery is ultimately about creating a new way of life and establishing new things to live for. In an ED, life is all about the food, body, and emotion avoidance and life in recovery needs to have a much different focus. Yes, food needs to be a part of life in recovery and cannot be ignored or overlooked and needs to be balanced with the joys that come in recovery. TK Contributor: As the Timberline Knolls Eating Disorder Program Coordinator, Camille Williams MA, NCC, LCPC, supports the development of curriculum, supervises the eating disorder specialists, and provides group therapy. She also educates and trains all staff on campus and advocates for eating disorder awareness through publications. Timberline Knolls serves as an iaedp™Presidents Council Member.